AP sportfahrwerke There are 944 products. Select100 (C4) FWD Limousine, Avant100 (C4Q) Quattro Limousine, Avant100 / 200 (44) FWD Limousine, Avant106 (1A/C)107 (P)147 (937) incl. 5door models156 (932) Limousine, Sport wagon159 (939) Limousine a Sportswagon19 (19 (B / C / D / X53) Limousine, Cabriolet190er (W201)1er E81,82,87,88 (182,187,1K2,1K4,1C Limo1er E81,82,87,88 (182,187,1K2,1K4,1C) Cabrio1er E81,82,87,88 (182,187,1K2,1K4,1C) Coupé1er F20 (1K2, 1K4) Limousine1er F20, F21 (1K2, 1K4) xDrive Limousine2 (DY)205 (741A/B/C, 20A/C/)206 (2…) inkl. SW + CC206 (RFK)207 (WA, WC) inkl. Cabrio2er F22, F23 (1C) Cabrio2er F22, F23 (1C) Coupe3 (BK)306 (7…) Limousine, Break, Cabrio, Automatik306 (7…) Limousine, Break, Cabrio, Schaltgetriebe307 (3…) Cabrio + SW / convertible307 (3…) Limousine323 (BA) Limousin, Coupé3er (3/1) E30 Limousine, Coupé 4 Zyl.3er (3/1) E30 Limousine, Coupé 6 Zyl.3er (3/1) E30 Touring 4 Zyl.3er (3/1) E30 Touring 6 Zyl.3er (3/R) E30 Cabrio 4 Zyl.3er (3/R) E30 Cabrio 6 Zyl.3er E36 (3B, 3/B, 3C, 3/C, 3CG) Cabrio3er E36 (3B, 3/B, 3C, 3/C, 3CG) Compakt3er E36 (3B, 3/B, 3C, 3/C, 3CG) Touring3er E36 (3B,3/B,3C,3/C,3CG) Limousine, Coupé3er E36 M33er E46 (346L/C/R/K) Cabrio3er E46 (346L/C/R/K) Compakt3er E46 (346L/C/R/K) Coupé3er E46 (346L/C/R/K) Limousine3er E46 (346L/C/R/K) Touring3er E90 (390L, 3L) Limousine3er E90 (390X, 3L) Allrad Limousine3er E91 (390L, 3K) Touring3er E91 (390X, 3K) Allrad Touring3er E92, (392C, 3C) 4WD Coupé3er E92, (392C, 3C) Coupé3er E93, (392C, 3C) Cabrio3er F30 Limousine (3L)3er F30, F31, F34 (3L, 3K, 3-V) xDrive GT Gran Turismo3er F30, F31, F34 (3L, 3K, 3-V) xDrive Limousine3er F30, F31, F34 (3L, 3K, 3-V) xDrive Touring3er F31 Touring (3K)3er F34 GT Gran Tourismo (3-V)400 (RT)4er F32, F33 (3C) Cabriolet4er F32, F33 (3C) Coupé4er F32, F33 (3C) Coupé, xDrive5 (CR)500 (312)500 Abarth (312)500C (312) Cabrio5er E28 (5/1) Limousine5er E34 (5/H) Limousine5er E34 (5/H) Touring5er E39 (5/D) Limousine5er E39 (5/D) Touring5er E60 (560L) Limousine5er E61 (560L) Touring5er F10 / F11 (5L/5K) Limousine5er F10 / F11 (5L/5K) Touring6er E24 (6/1) Coupé6er E63, 64 (663C) Cabrio6er E63, 64 (663C) Coupé6er F06, F12, F13 (6C) Cabrio6er F06, F12, F13 (6C) Coupe6er F06, F12, F13 (6C) Gran Coupé6er F06, F12, F13 (6C) xDrive Cabrio6er F06, F12, F13 (6C) xDrive Coupé6er F06, F12, F13 (6C) xDrive Gran Coupé7er E32 (7/1)7er E38 (7/G)7er F01, F02 (701, 7L) FWD, Allrad (xDrive)80 (B4) FWD Limousine80 / 90 (89) FWD Cabrio80 / 90 (89) FWD Coupe80 / 90 (89Q) Quattro Limousine850, V 70 (L, LW)A- Klasse (176, 245G)A1 (8X)A2 (8Z)A3 (8L) FWDA3 (8L) Quattro inkl. S3A3 (8P) FWD LimousineA3 (8P) FWD SportbackA3 (8P) Quattro Limousine, Sportback inkl. S3A3 (8V) FWD Cabrio / 2WD, convertibleA3 (8V) FWD Limousine, SportbackA3 (8V) Quattro CabrioletA3 (8V) Quattro LimousineA3 (8V) Quattro Sportback 5trg.A4 (8E / 8H) FWD CabrioA4 (8E) FWD AvantA4 (8E) FWD LimousineA4 (8E) Quattro AvantA4 (8E) Quattro LimousineA4 (B5) FWD Limousine, Avant /A4 (B5) Quattro AvantA4 (B5) Quattro LimousineA4 (B8) FWD Limousine, AvantA4 (B8) Quattro LimousineA4 (B9) FWD Avant / 2WD (B8/B81) (e1*2001/116*0430*.. (ab NT 35)), (e13*2007/46*1084*.. (ab NT 25))A4 (B9) FWD Limousine / 2WD (B8/B81) (e1*2001/116*0430*.. (ab NT 35)), e13*2007/46*1084*.. (ab NT 25)A4 (B9) Quattro Avant / 4WD (B8/B81), /e1*2001/116*0430*.. (ab NT 35) / e13*2007/46*1084*.. (ab NT 25))A4 (B9) Quattro Limousine (e1*2001/116*0430*.. (ab NT 35) / e13*2007/46*1084*.. (ab NT 25))A5 (B8) FWD CabrioA5 (B8) FWD CoupéA5 (B8) FWD SportbackA5 (B8) Quattro CabrioA5 (B8) Quattro CoupéA5 (B8) Quattro SportbackA5 (B9) FWD Coupe (e1*2001/116*0430*.. (ab NT 43)), (e13*2007/46*1084*.. (ab NT 27))A5 (B9) Quattro Coupe (e1*2001/116*0430*.. (ab NT 43)), (e13*2007/46*1084*.. (ab NT 27))A6 (4B) FWD AvantA6 (4B) FWD LimousineA6 (4B) Quattro AvantA6 (4B) Quattro LimousineA6 (4C) FWDA6 (4C) QuattroA6 (4F) FWD Limousine, AvantA6 (4F) Quattro AvantA6 (4F) Quattro LimousineA6 (4G) FWD AvantA6 (4G) FWD LimousineA6 (4G) Quattro AvantA6 (4G) Quattro LimousineA7 (4G, 4G1) FWD SportbackA7 (4G, 4G1) Quattro SportbackAccord (CL7 / 9, CM1 / 2, CN1 / 2) LimousineAccord (CU1 / 2 / 3, CW1 / 2 / 3) Limousine / sedanAccord (CU1 / 2 / 3, CW1 / 2 / 3) Tourer / wagonAdam (S-D)Alhambra (7MS)Alhambra (7N) 5 seatsAlhambra (7N) 7 seatsAltea (5P)Altea XL (5P)Arosa (6H, 6HS)Astra (F, F-CC, T92, inkl. T92 Cabrio, no Caravan) up to 100kWAstra F (T92) F-Caravan 40-100 kWAstra G (G, G-CC, T98, T98/NB, T98V) LimousineAstra G (T98/Kombi) G-CaravanAstra G (T98C) G-Coupé, CabrioAstra H (A-H/C) TwinTopAstra H (A-H/SW) CaravanAstra H (H) LimousineAstra J (P-J) LimousineAstra J (P-J/SW) GTC CoupéAstra J (P-J/SW) Sports TourerAstra K (B-K) LimousineBeetle (16)Beetle (16) CabrioletBora (1J) 4motion Limousine. VariantBora (1J) FWD LimousineBora (1J) FWD VariantBrava / Bravo (182)C-Klasse (W202) LimousineC-Klasse (W202T) T-ModellC-Klasse (W203) LimousineC-Klasse (W203T) T-ModellC-Klasse (W204) CoupéC-Klasse (W204) LimousineC-Klasse (W204) wagonC-Klasse (W205) CoupéC-Klasse (W205) LimousineC-Klasse (W205) wagonC-Klasse 4matik (204, 204K) LimousineC-Sportcoupé (W203CL)C3 (F…)C3 (S…)C3 Pluriel (H…)CLA (117)CLK (W208) CoupéCLK (W209) CabrioCLK (W209) CoupéCR-V (RD1)Cabriolet (R52), (MINI)Cabriolet (R57), (MINI-N, UKL-C)Calibra (A)Cee´d (ED) LimousineCee´d, pro Cee´d (JD) CoupéCee´d, pro Cee´d (JD) KombiCee´d, pro Cee´d (JD) LimousineCelica (T23)CitigoCivic V (EG2, EG3, EG4, EG5, EG6, EG8, EG9, EH6, EH9, EJ1, EJ2)Civic VI (EK1, EK3, EK4, EJ6, EJ8, EJ9)Civic VII (EM2) Coupé / coupeCivic VII (EP, ES, EU, EV)Civic VIII (FN1, FN3, FN4, FK1, FK2, FK3)Clio B (BB0, CB0)Clio C (R) LimousineClubman (JCW (John Cooper Works), (R55), (MINI-N, UKL-K)Clubman (R55), (MINI-N, UKL-K)Colt, Lancer (C50, C60)Colt, Lancer (CJ0)Cooper, Cooper S, one D, Cooper D, Cooper SD, JCW, Lim. 3trg. (F55, F56)Cordoba (6K/C) LimousineCorolla (E11, E11U)Corolla (EE / AE10)Corrado (53i)Corsa A (A/CC)Corsa B (B/S93)Corsa C (Corsa-C)Corsa D (S-D)Corsa E (S-D)Countryman ALL4 (UKL/X, UKL-C/X)Countryman R60 (UKL/X, UKL-C/X)Coupé Cooper, Cooper S, Cooper SD (R58), (UKL-C)Coupé John Cooper Works (R58), (UKL-C)Croma (194)Cruze (Kl1J) LimoDS3 (S…)DS4 (N)E-Klasse (W124) CombiE-Klasse (W124) Limousine, CoupéE-Klasse (W210) Limousine, Coupé, CombiE-Klasse (W211) CombiE-Klasse (W211) LimousineEos (1F)Fabia (6Y) HatchbackFabia (6Y) Hatchback, wagonFabia II (5J) CombFabia II (5J) LimousineFabia II RS (5J) LimousineFabia III (5J) CombiFabia III (5J) LimousineFabia RS (6Y)Fiesta (GFJ)Fiesta (JA8)Fiesta (JAS, JBS)Fiesta (JD., JH. )Fiesta ST150 (JD. )Focus (DA3, DB3) CombiFocus (DA3, DB3) Coupé, CabrioFocus (DA3, DB3) LimousineFocus (DAW, DBW, DFW, DNE, DA1, DB1) CombiFocus (DAW, DBW, DFW, DNE, DA1, DB1) LimousineFocus (DYB) CombiFocus (DYB) LimousineFocus (DYB) Limousine RSFocus C-Max (DM2)Focus ST (DA3)Focus ST (DYB) CombiFocus ST (DYB) LimousineFocus ST170 (DBW, DB1)Forfour II (451)Fortwo + Cabriolet (MC01)Fortwo II (451) CabrioFortwo II (451) CoupéGT (937)GT-86 (ZN) CoupéGTV / Spider (916)Galaxy (WA6)Galaxy (WGR)Giulietta (940)Golf I, Jetta I (17, 17CK, 155)Golf II, Jetta II (19E)Golf III (1HX0, 1H) VariantGolf III, Vento (1HX0, 1H) Limousine, Cabrio (1EX0, 1E)Golf IV (1J) 4motionGolf IV (1J) FWD LimousineGolf IV (1J) FWD VariantGolf V (1K), Jetta V (1KM) FWD LimousineGolf V (1K), Jetta V (1KM) FWD VariantGolf VI (1K, 1KM) CabrioGolf VI (1K, 1KM) LimousineGolf VI (1K, 1KM) VariantGolf VII (AU) 4motionGolf VII (AU) LimousineGolf VII (AUV) VariantGolf VII Sportsvan (AUV) VANGrande Punto (199)HR-V (GH2)Ibiza (6J) Limousine, CoupéIbiza (6J) ST (Kombi)Ibiza (6K)Ibiza (6K1)Ibiza (6L)Insignia (0G-A) LimousineInsignia (0G-A) Sports Tourer (Kombi)Integra (DC2)JCW (John Cooper Works) (R56), (Mini-N, UKL-L)Jazz (GG1,2,3, GE6)Ka (RBT)Leon (1M) 4WDLeon (1M) FWDLeon (1P)Leon (5F) Limousine, CoupéLeon (5F) ST (Kombi)Leon Cupra / RLimo 5trg. (F55, F56)Logan (SD) LimousineLupo (6X, 6ES)M2 F87 (M3) CoupeM3 E90, 92, 93 (M390) / M3 -series E90, 92, 93 (M390) CabrioM3 E90, 92, 93 (M390) / M3 -series E90, 92, 93 (M390) LimousineMX5 (NC)MX5 (ND) RoadsterMX5 RF (ND) TargaMatiz (KLYA)Megane (BA / LA) LimousineMegane (KA) Grand TourMegane (M) CabrioMegane (M) Classic, Grand TourMegane (M) LimousineMegane (Z) CoupéMegane (Z) LimousineMegane Scenic (JA)Megane Scenic (JM)Meriva (X01MONOCAB)MiTo (955)Micra (K13)MiiMondeo (B4Y, B5Y, BWY) LimousineMondeo (B4Y, B5Y, BWY) TurnierMondeo (BA7) TurnierNew Beetle (1Y)New Beetle (9C)Octavia (1U) 4WD KombiOctavia (1U) 4WD LimousineOctavia (1U) FWD CombiOctavia (1U) FWD LimousineOctavia II (1Z) 4WD KombiOctavia II (1Z) FWD CombiOctavia II (1Z) FWD LimousineOctavia II RS (1Z) LimousineOctavia III (5E) 4WD KombiOctavia III (5E) 4WD LimousineOctavia III (5E) FWD LimousineOmega A CaravanOmega A LimousineOmega B (V94) CaravanOmega B (V94) LimousinePaceman (R61) (UKL/X, UKL-C/X)Paceman ALL4 (R61) (UKL/X, UKL-C/X)Passat (35i) FWD LimousinePassat (35i) FWD VariantPassat (3B) 4motion VariantPassat (3B) FWD LimousinePassat (3B) FWD VariantPassat (3BG) FWD LimousinePassat (3BG) FWD VariantPassat (3C, 3c) FWDPassat CC (3CC)Pathfinder (CR50)Polo (6N) HatchbackPolo (6R)Polo (9N)Polo Classic (6KV)Polo, Derby (86, 86c)Puma (ECT)Punto Evo (199)Punto II (188)RX8 (SE)Rapid (NH)Roadster (452)Roadster Cooper, Cooper S, Cooper SD (R59), UKL-C)Roadster John Cooper Works (R59), (UKL-C)Roomster (5J)S 40 (M3) LimousineS 40, V 40 KombiSL (R129)SLK (W170) CabrioSandero (SD)Saxo (S)Scirocco I/II (53, 53B)Scirocco III (13)Seicento (187)Sharan (7M)Sharan (7N) 5 seatsSharan (7N) 7 seatsShuttle (RA1/3)Signum (VECTRA, Z-C/S)Sunny (N12, N13)Sunny (N14)Superb (3T) LimousineSuperb (3U)Superb III (3T) (ab Mod. 2016) / (Mod. 2016-) FWD KombiSuperb III (3T) (ab Mod. 2016) / (Mod. 2016-) FWD LimousineSuperb III 4x4 / 4WD (3T) (ab Mod. 2016) / (Mod. 2016-) Limousine,Swift (EZ, MZ)Swift (NZ)T3 (245, 247, 251, 253, 255) TransporterT4 (70X0A), (70X02A), (70X02B), (70X02C) ,(70X0BL),T5 (7M, 7HC)TT (8J) FWD CoupéTT (8J) FWD RoadsterTT (8J) Quattro CoupéTT (8J) Quattro RoadsterTT (8N) FWD Coupé, RoadsterTT (8N) Quattro Coupé, RoadsterTigra (S93)Tigra TwinTop (X-C Roadster)Toledo (1M) FWDToledo (5P) FWDToledo (NH) FWDTouran (1T)Twingo (C06)Twingo (N) only manual transmissionTwingo (N) only with automatic gearboxV 50 (M) KombiVectra A (A, A-CC) LimousineVectra A (A, A-X) 2000, 16VVectra B (J96, J96Kombi)Vectra C (VECTRA LIM, Z-C, VECTRA/SW, Z-C/SW)X3 E83 (X83)Xsara (N6)Z3 E37 (R/C) RoadsterZ4 E85 (Z85) RoadsterZ4 E89 (Z89) RoadsterZafira A (T98 MONOCAB)Zafira B (A-H, MONOCAB)i30(GDH) Kombii30(GDH) Limousinei30, i30CW (FD) Limousineone, Cooper R50, (MINI)one, Cooper, Cooper S (R56), (MINI-N, UKL-L)one, Cooper, Cooper S, Cooper D, (R50, R53), (MINI)pro Cee´d (ED) Coupéup! Select-0.6, 0.7, 0.8 CDI0.7, 0.8 CDI0.8, 1.10.9, 1.0, 1.1, 1.3, 1.3D, 1.4D0.9, 1.1i0.9i, 1.0i1,6, 2.01,9JTD, GTA1.01.0 (3 Zyl. )1.0 EcoBoost, 1.5 EcoBoost, 1.6i1.0 EcoBoost, 1.6i, 2.0i, 1.6TdCi1.0, 1.05, 1.3, 1.41.0, 1.11.0, 1.1, 1.4i1.0, 1.2, 1.3, 1.41.0, 1.31.0, 1.41.0, 1.4 (55kW), 1.4D, 1.5D1.0Mpi (3Zyl. 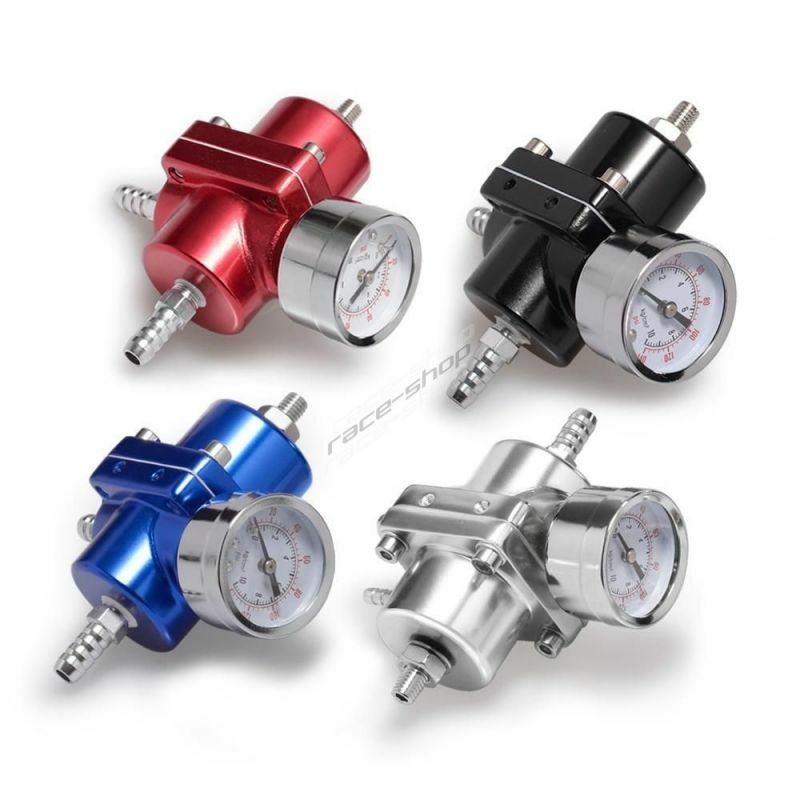 )1.0Turbo, 1.4i, 1.4Turbo1.0i1.0i 12V (3 Zyl.) / (3 cyl. )1.0i, 1.2i, 1.4i1.1, 1.3, 1.5, 1.6, 2.6 GTI, 1.8, 1.8 GTI, 1.5D, 1.6D, 1.6TD1.1, 1.4, 1.4 16V, 1.6 16V, 1.4HDi, 1.4 16VHDi1.1, 1.4, 1.61.1, 1.4, 1.6, 1.6HDi1.21.2 12V1.2, 1.2 16V, 1.4, 1.3JTD1.2, 1.41.2, 1.4 8V, 1.4 16V1.2, 1.4, 1.3 Multijet1.2, 1.4, 1.61.2, 1.5dCi1.25, 1.3, 1.41.25, 1.3, 1.4, 1.61.25i, 1.4i1.25i, 1.4i, 1.6i, 1.4Di1.2MPi (3Zyl. / 3cyl. ), 1.2TSi1.2TFSi, 1.4 TFSi1.2TFSi, 1.4TFSi1.2TSi1.2TSi (DSG), 1.4TDi1.2TSi, 1.2TSi BlueMotion1.2TSi, 1.4, 1.2TDi1.2TSi, 1.4, 1.4TSi, 1.61.2TSi, 1.4, 1.4TSi, 1.6, 2.0FSi, 1.6TDi1.2TSi, 1.4TSi1.2TSi, 1.4i, 1.2TDi1.2TSi, 1.4i, 1.6i 16V, 1.2TDi, 1.4TDi1.2i1.2i (3Zyl.) / (3cyl. )1.2i - 1.4i1.2i 12V1.2i 12V-1.6i 16V1.2i 3 zyl. / 3 cyl.1.2i, 1.3DDiS1.2i, 1.4i1.2i, 1.5i, 2.0i, 1.5D, 2.0D1.31.3 CDTi - 1.7 CDTi1.3, 1.4, 1.6, 1.8, 2.0, 1.9D, 1.9SDi, 1.9TD, 1.9TDi1.3, 1.4, 1.6, 2.0D1.3, 1.5, 1.3DDiS, 1.6i (Sport)1.3, 1.5, 1.6 V-TEC, 1.6 Vti V-TEC1.3, 1.5, 1.6, 1.7D1.3, 1.5, 1.6, 1.81.3, 1.5, 1.8, 2.0D, 2.0TD1.3, 1.5, 1.8D1.3, 1.61.3CDTi - 1.7CDTi1.4 ,1.7, 1.81.4 MPI, 1.6 MPI1.4 Turbo, 1.6CDTi1.4(EP1) (ES4) (EU5) (EU7), 1.6(ES5) (EU6) (EU8), 1.6 V-TEC(P2)1.4, 1.4TSI, 1.6i1.4, 1.5 V-TEC, 1.6, 1.6 Vti V-TEC1.4, 1.5, 1.6, 2.0, 2.0D1.4, 1.61.4, 1.6, 1.4HDi1.4, 1.6, 1.4TDi1.4, 1.6, 1.5dCi1.4, 1.6, 1.6 150 Turbo1.4, 1.6, 1.6Di1.4, 1.6, 1.6HDi1.4, 1.6, 1.6Ti, 1.81.4, 1.6, 1.71.4, 1.6, 1.81.4, 1.6, 1.8 16V1.4, 1.6, 1.8,1.4, 1.6, 1.8, 1.9SDi, 1.9TDi1.4, 1.6, 1.8, 2.0, 1.5D, 1.8D, 1.8TD, 1.9D, 1.9TD, 2.0HDi1.4, 1.6, 1.8, 2.0, 1.7D, 1.7TD1.4, 1.6, 1.8, 2.0, 1.9D, 1.9SDi, 1.9TDi1.4, 1.6, 1.8, 2.0, 1.9D, 1.9TD1.4, 1.6, 1.8, 2.0, 2.3 V5, 1.9SDi, 1.9TDi1.4, 1.6, 1.8T, 1.9TDi1.4, 1.6, 2.01.4, 1.6, 2.0 1.9SDi1.4, 1.6, 2.0, 1.5dCi1.4, 1.6, 2.0, 1.9TDi1.4, 1.6, 2.0D, 2.0D-4D1.4, 1.6GDi1.4, 1.81.4CRDi, 1.6CRDi1.4HDi1.4HDi, 1.6HDi1.4MPI, 1.6 MPI, 1.6 16V, 1.5dCi1.4T, 1.6i, 1.8i, 1.6T, 2.0i, 2.0CDTi1.4T, 1.8T, 1.6JTDM, 2.0JTDM1.4T-Jet1.4T-Jet, 1.3 Multijet, 1.6 Multijet1.4T-Jet, 1.3JTDM, 1.9JTDM1.4TDi - 1.9TDi1.4TDi, 1.7SDi1.4TFSi , 1.6TDi1.4TFSi, 1.6i, 2.0i1.4TFSi, 1.8TFSi, 2.0TFSi, 2.0TDi1.4TFSi, 2.0TFSi, 2.0TDi1.4TSI DSG, 1.6TDi1.4TSI, 1.6, 1.6FSI, 2.0FSI1.4TSI, 1.6TDi1.4TSi1.4TSi 4x41.4TSi DSG, 1.6TDi1.4TSi, 1.6, 1.6TDi, 1.8T, 1.9TDi DSG1.4TSi, 1.6FSi1.4TSi, 1.6TDi1.4TSi, 1.8TSi DSG1.4TSi, 1.9TDi, 2.0TDi, 2.0TDi (GT)1.4TSi, 2.0TSi, 2.0TDi1.4TdCi, 1.6TdCi1.4Turbo, 1.6i, 2.0 Turbo, 2.0 CDTI, 2.0 Biturbo CDTI1.4i, 1.4T, 1.3JTDM1.4i, 1.4T, 1.6T, 1.81.4i, 1.6i, 1.4TDi1.4i, 1.6i, 1.5dCi1.5TDCi, 1.65TDCi, 2.0TDCi1.61.6 (GTi)1.6 alle / all, 1.8, 1.8T1.6 alle / all, 1.8, 1.8T, 2.3V V5, 1.9TDI1.6, 1.4Di1.6, 1.4TdCi, 1.6TdCi1.6, 1.5dCi, 1.9d, 1.9dTi1.6, 1.6 16V, 1.5Di1.6, 1.6FSi, 2.0FSi1.6, 1.6Ti, 1.8, 2.01.6, 1.81.6, 1.8, 1,7D, 1,7TD1.6, 1.8, 1.7D, 1.7TD1.6, 1.8, 1.8T1.6, 1.8, 1.8T, 1.9TDi1.6, 1.8, 1.8i, 2.0, 2.0T, 1.9TD, 1.9DI1.6, 1.8, 2.01.6, 1.8, 2.0, 1.7TD1.6, 1.8, 2.0, 2.2, 2.5, 1.7TD1.6, 1.8, 2.6D, 1.6TD1.6, 1.8T, 2.0, 2.0FSi, 2.0TFSi1.6, 1.8TSi, 2.0FSi, 1.6TDi 2.0TSi, 2.0TFSi1.6, 1.8i 16V1.6, 1.9, 2.0, 2.1, 1.6D1.6, 2.01.6, 2.0 4 Zyl. / 4 cyl.1.6, 2.0, 1.5dCi1.6, 2.0, 1.8T1.6, 2.0FSi1.6, 2.0FSi Schaltgetriebe / with manual gearbox1.6, 2.0FSi, 1.9TDi1.6, 2.0i1.6HDi, 1.6eHDi, 2.0HDi1.6T, 1.8T, 2.0, 2.0FSi, 2.0TFSi1.6TD, 1.9D, 1.9TD1.6TDi1.6TDi DSG1.6TDi DSG, 2.0TDi1.6TDi, 1.9TDi1.6TDi, 1.9TDi, 2.0TDi1.6TDi, 2.0TDi1.6i1.6i, 1.6D1.6i, 1.6D, 2.0D1.6i, 1.8, 1.8T1.6i, 1.8i, 2.0CDi1.6i, 2.0D1.6i, 2.0i1.7 16V1.7CDTi, 1.9CDTi1.7CDTi, 2.0CDTi1.81.8 16V1.8, 1.8T1.8, 1.8T, 1.9TDi, 2.4, 2.6, 2.81.8, 1.8T, 2.01.8, 1.8T, 2.0 1.9TDi1.8, 1.91.8, 1.9, 2.0, 2.3i 5 Zyl.1.8, 1.9, 2.0i 4 Zyl. / 4 cyl.1.8, 1.9TDi1.8, 2.01.8, 2.0 , 2.5, 3.0, 2.0DI, 2.0TdCi, 2.2 TdCi1.8, 2.0 mit Automatik, 2.5, 3.0, 2.0DI, 2.0TdCi, 2.2 TdCi1.8, 2.0, 1.3 V5, 1.9SDi, 1.9TDi1.8, 2.0, 1.9D, 1.9TD, 1.9HDi1.8, 2.0, 1.9SDi, 1.9TDi1.8, 2.0, 2.0 Turbo, 2.2, 1.7DTi, 1.7CDTi, 2.0Di, 2.0DTi, 2.2DTi1.8, 2.0, 2.0D1.8, 2.0, 2.0Turbo, 2.2, 1.7DTi, 1.7CDTi, 2.0Di, 2.0DTi, 2.2DTi1.8, 2.0, 2.2, 2.3, 2.6, 2.8, 1.9TDi, 2.5TDi1.8, 2.0, 2.3 V5, 1.9TDi, 2.0TDi1.8, 2.0, 2.5, 2.8, 1.9D, 1.9TD, 2.4D, 2.5TDI1.8, 2.0T, 1.9D1.8, 2.0i 4 Zyl. / 4 cyl.1.8, 2.2, 3.2, 1.9CDTi, 2.2CDTi1.8, 2.3, 2.6, 2.8, 1.9TDi1.8T1.8T Automatik, 2.3 V5, 2.8 V6, 1.9TDi, 2.0TDi1.8T quattro1.8T, 1.9TDi, 2.4, 2.6, 2.81.8T, 1.9TDi, 2.8i1.8T, 2.0, 1.9TDi1.8T, 2.0, 2.8, 1.9TDi, 2.0TDi1.8T, 2.0, 2.8, 1.9Tdi, 2.0Tdi1.8T, 2.0FSi, 2.0TFSi, 2.0TDi1.8T, 2.0TFSi1.8T, 2.0TFSi 4 Zyl. / 4 cyl.1.8T, 2.0TFSi, 3.0, 3.2FSi, 1.9TDi, 2.0TDi 6 Zyl.1.8TFSI, 2.0FSI, 1.9TDi, 2.0TDi1.8TFSi Quattro, 2.0TDi Quattro1.8TFSi quattro, 2.0TFSi quattro1.8TFSi, 1.6TDi1.8TFSi, 1.6TDi, 2.0TDi1.8TFSi, 2.0FSi , 1.9Tdi, 2.0Tdi1.8TFSi, 2.0FSi mit Automatik, 1.9Tdi, 2.0Tdi1.8TFSi, 2.0TFSi1.8TFSi, 2.0TFSi, 2.0TDi, 3.2FSi1.8TFSi, 2.0TFSi, 3.2FSi (Multitronic)1.8TFSi, 2.0TFSi, 3.2FSi ohne Automatik1.8TFSi, 2.0iTFSi, 1.6TDi, 1.9TDi, 2.0TDi1.8TS, 2.0JTS, 1.9JTD1.8TSI (DSG), 2.0TSi, 2.0TDi1.8TSI (DSG),2.0TSi, 2.0TDi1.8TSi DSG, 2.0TDi1.8TSi, 1,6TDi, 2.0TDi1.8TSi, 1.6TDi1.8TSi, 2.0FSi, 1.9TDi, 2.0TDi1.8TSi, 2.0TSi, 1.6TDi1.8TSi, 2.0TSi, 2.0TDi1.8Turbo (GTI)1.8i 16V-2.0i 16V, 2.0 V6-3.2 V6TS1.8i, 1.8T, 2.0, 1.9TDi1.8i, 2.0i, 2.3 V5, 2.8 V6, 1.9TDi1.9 TDi, 2.3 quattro, 2.6 quattro, 2.8 quattro, 2.5TDi quattro1.9 TDi, 2.3, 2.6, 2.8, 2.4D, 2.5TDi1.9, 2.0, 2.1, 2.2, 2.3, 2.0D, 2.4D, 2.5TDi1.9CDTi1.9TDi1.9TDi, 2.0TDi1.9dCi, 2.0Turbo116i, 118i, 116d, 118d116i, 118i, 120i118d xDrive, 120d xDrive118i, 120i, 125i, 135i, 118d, 120d, 123d120d, 123d, 125d120i, 125i, 135i, 118d, 120d, 123d130i, 116d, 118d, 120d, 123d180, 180K, 200K, 200CGi, 230K180, 180K, 200K, 200CGi, 230K, 200CDI, 220CDI180, 200, 200K, 230, 230K, 200D, 200CDI, 220D, 220CDI180, 200, 250, 200CDi, 220 CDI180GDi, 200GDi, 180CDi, 220CDi180GDi, 200GDi, 250CGi, 180CDi, 220CDi, 250CDi2.02.0 (S16), 1.6HDi, 1.9D, 2.0HDi2.0 , 1.6TdCi, 1.8TdCi, 2.0TdCi2.0 16V2.0 GTI, 2.82.0 Turbo (4x4), 2.0 CDTI (4x4), 2.0 Biturbo CDTI (4x4)2.0, 1.4TDi, 1.9SDi, 1.9TDi2.0, 1.6 CRDi, 2.0CRDi2.0, 1.6CRDi, 2.0CRDi2.0, 1.6Di2.0, 1.6TdCi, 1.8TdCi, 2.0TdCi2.0, 1.9TDi, 2.0TDi2.0, 1.9dCi2.0, 2.0 4x42.0, 2.22.0, 2.3, 2.8, 1.9TDi2.0, 2.5, 2.6, 2.0DI, 2.0DTi, 2.2DTi2.0Di2.0FSi, 2.0TSi, 2.0TDi2.0SCTi, 2.3, 2.5, 1.6TdCi, 1.8TdCi, 2.0TdCi, 2.2TdCi2.0T, 2.0TDCi2.0T, 2.2, 1.7CDTi, 1.9CDTi2.0T, 3.2, 1.9CDTi, 2.2DTi2.0TDI (GTD), 2.0TSi (GTI & R)2.0TDi2.0TDi DSG2.0TDi Quattro2.0TDi Quattro, S32.0TDi quattro2.0TDi, 2.8FSi2.0TDi, 2.8FSi, 3.0TDI2.0TFSi2.0TFSi Quattro2.0TFSi quattro, 3.2 quattro2.0TFSi, 2.0TDi2.0TFSi, 2.4, 3.0, 2.8FSi, 3.2FSi, 2.0TDi2.0TFSi, 2.4, 3.0, 3.2TFSi, 1.9TDi, 2.0TDi2.0TFSi, 3.2FSi2.0TSi (GTi), 2.0TDi (GTD)2.0TSi 4x4, 2.0TDi 4x42.0TSi DSG, 2.0TDi, 3.2i V62.0TSi, 1.9TDi, 2.0TDi2.0TSi, 2.0TDi2.0TdCi2.0i2.0i, 1.8D, 1.8TD, 1.8TdCi2.0i, 1.9D, 1.9TDI, 2.0DT2.0i, 1.9dCi, 2.0dCi2.0i, 2.0Turbo, 1.9dCi2.0i, 2.3i, 2.8i, 3.0i2.0i, 2.4i2.2 16V, 2.0 16VTurbo, 2.2DTi2.2, 1.9JTD2.2Diesel2.2i, 2.5i, 2.5si, 3.0i, 3.0si2.32.3 Ecoboost2.3 quattro, 2.6 quattro, 2.8 quattro, 2.5TDi quattro2.3, 1.9TDi2.3, 1.9TDi, 1.9TDi2.4 quattro, 3.0 quattro, 3.2FSi quattro2.4 quattro, 3.2FSi quattro2.4, 2.4i,T5, 2.0D2.4, 2.5TDi, 2.6, 2.82.4, 3.0, 3.2FSi, 2.5TDi, 2.7TDi2.4JTDM 20V2.4i, 2.2Di2.4i, 2.5 TDi V6, 2.7TDi, 3.0TDi2.4i, 2.8i, 3.02.4i, 2.8i, 3.0, 2.5TDi2.5 V6, 1.9JTD, 2.4JTD, 3.2 GTA2.5, 2.6, 3.0, 3.2, 2.0DTi, 2.2DTi2.5TDi2.5Turbo2.5i, 2.5si, 3.0i, 3.0si, 2.0d, 3.0d, 3,0sd2.62.7TDi2.7TDi 2.5TDi, 3.2FSi mit Automatik2.8 Turbo 4x4 (OPC)2.8, 2.5TDi2.8FSi quattro2.8FSi, 3.0TDi200200, 200K, 230K200, 200K, 230K, 320200, 220, 230, 200D200, 230, 240 V6, 260 V6, 280 V6, 320 V6, 220CDI200, 230, 280, 350, 200CDI, 220DI200K, 200CGi, 220CDI218i, 220i, 228i, 218d, 220d218i, 220i, 228i, 220d220d xDrive225d230, 240, 320, 350, 270CDI, 320CDI230, 280, 350, 200CDI, 220CDI240, 280, 250TD, 250CDI240, 280, 250TD, 250CI240, 280, 320, 350, 500, 270CDI, 320CDI260, 280, 300, 320, 250D, 250TD, 300D, 300TD280, 300, 350, 250CDI, 300CDI, 320CDI, 350CDI280, 300, 350, 350CGi, 180CDI, 200CDI, 220CDI, 250CDI, 300CDI, 320CDI, 350CDI280, 300, 350, 350CGi, 180CDI, 200CDI, 250CDI, 300CDI280, 320, 420, 430, 270CDI, 290TD, 300D, 300TD, 320CDI3.0, 3.23.0TDi3.0TDi (multitronic)3.0TDi , 3.2FSi quattro3.0TDi Quattro3.0TFSi quattro, 3.0TDi quattro3.0TFSi quattro, 4.2 quattro, 2.7TDi quattro, 3.0TDi quattro3.0Turbo3.2 V6 24V3.2FSi, 2.7TDi, 3.0TDi3.2FSi, 3.0TDi3.6i V6 4motion / 4WD316Ci, 318Ci316i, 318i316i, 318i, 318is316i, 318ti316ti, 318ti318ci318i318i, 320i318i, 320i, 320d318i, 320i, 320si318i, 320i, 325i, 330i, 320d318tds318tds, 323ti320, 430320Ci, 323Ci, 325Ci, 328Ci, 330Ci, 320Cd320ci, 323ci, 325ci, 330ci, 320cd320i xDrive, 328i xDrive, 318d xDrive, 320d xDrive320i xDrive, 328i xDrive, 320d xDrive320i, 323i, 325i, 325e, 324d, 324td320i, 323i, 325i, 328i320i, 323i, 325i, 328i, 325td, 325tds320i, 323i, 325i, 328i, 330i, 318d, 320d320i, 323i, 328i, 318tds, 325tds320i, 325i320i, 328i, 316d, 318d, 320d325d, 330d325d, 335d325i xDrive, 330i cDrive, 335i xDrive, 320d xDrive325i, 330i, 316d, 318d, 320d325i, 330i, 335i325ti, 318td, 320td325xi, 330xi, 320xd330Cd330d330d xDrive330d xDrive, 335d xDrive330xd335i335i xDrive335i, 325d, 330d, 335d335i, 335d335xi350, 220CDI, 250CDI4.0 V8420i xDrive, 428i xDrive, 420d xDrive420i, 428i, 420d428i, 420d435i435i xDrive435i, 430d500, 280CDI, 300CDI518i, 520i, 525i518i, 520i, 525i, 528i, 533i, 524d520i, 523i, 525i, 528i, 530i, 520d, 525td, 525tds520i, 523i, 525i, 530i, 520d523i, 528i, 520d525d, 530d530i, 535i, 540i, 524Td, 525Td, 525Tds535d535i xDrive, 530d xDrive535i, 525d, 530d535i, 525d, 530d, 535d535i, 540i540i540i, 545i, 525d, 530d, 535d550i550i xDrive628CSi, 635Csi630Ci640i xDrive, 650i xDrive, 640d xDrive640i, 635d, 640d640i, 640d645Ci, 650Ci, 635d650i650i xDrive6Zyl.+8Zyl. (500SL)730i, 735i, 740i730i, 740i, 730d, 740d, 730d xDrive, 740d xDrive750i, 740d xDrive750i, 750Li, 750i xDrive, 750d xDriveC 220d, C250dC160, C180, C200, C250C180 BlueTEC, C200 BlueTEC, C220 BlueTEC, C250 BlueTECC180, C200, C250, C300C180BlueTEC, C200 BlueTEC, C220 BlueTEC, C250 BlueTECCupraM135i xDrive, M140i xDriveM135i, M140i, 125dM235i xDrive, M240i xDriveM235i, M240iRCVR 6nur für 4 Zyl. / only 4 cyl.nur für 6 Zyl. / only 6 cyl. 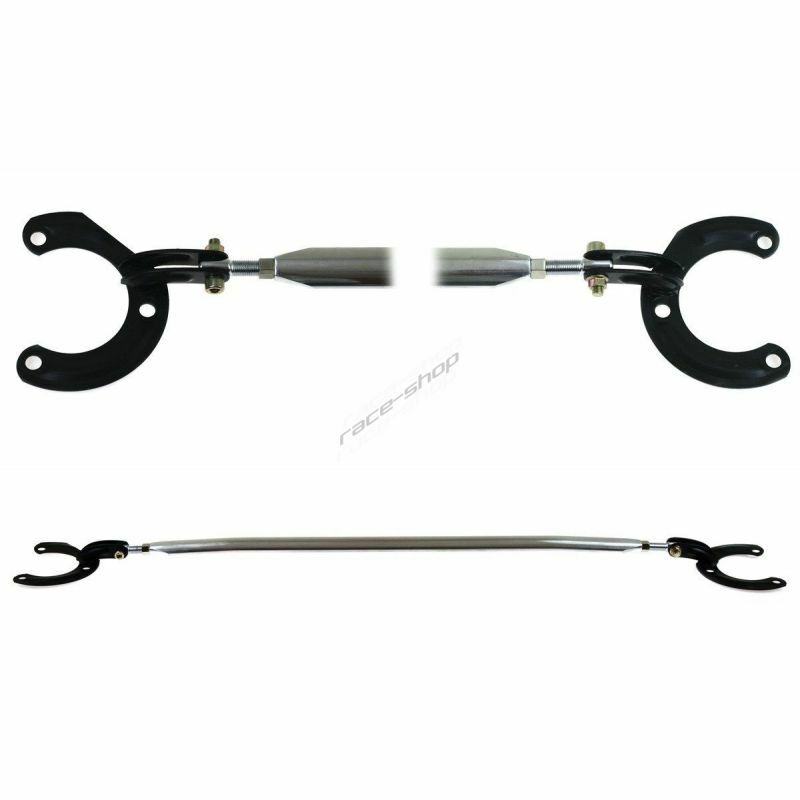 Lowering spring set AP Sportfahrwerke AUDI 80 / 90 (89) FWD Coupe, Engine 1.8, 1.9, 2.0i 4 Zyl. / 4 cyl. Lowering spring set AP Sportfahrwerke AUDI 80 / 90 (89) FWD Coupe, Engine 1.8, 1.9, 2.0, 2.3i 5 Zyl.